Plans for a 400-home housing development at an Aberdeenshire beauty spot were rejected by councillors yesterday. However, the firm behind the controversial scheme now intends to ask the Scottish Government to overturn the decision. 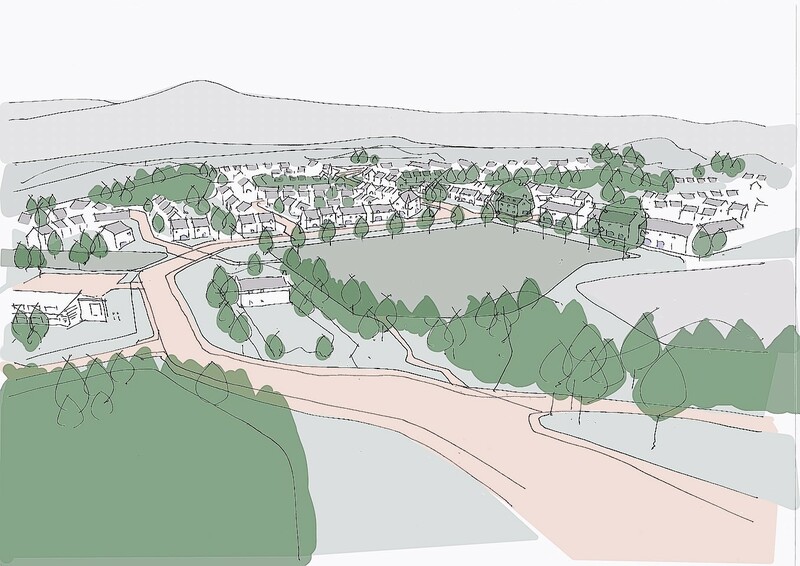 Members of Aberdeenshire Council refused the proposals for 300 rented homes, 75 affordable homes and 25 assisted-living apartments at Braehead, Auchattie, at the south end of Banchory, saying the project “just wouldn’t work”. The plans attracted almost 500 objections from locals worried about the impact on wildlife, scenery, roads and already over-capacity schools. Speaking at the meeting Julia Davies, of the Feughdee Community Council said residents did not want to see the site – next to Scolty Hill and its surrounding woodlands, the River Dee and the River Feugh – built over. She added: “People in the community object not because they are against growth or because they are against affordable homes. Banchory councillor, Jill Webster, said: “Of all the places to build in and around Banchory this has got to be the worst. Speaking after the meeting, Mike Adams of the Stop Scolty Redevelopment group – which led the campaign against the plans – said: “We are delighted that the council and planning department voted to reject Braehead. However, developers Sandlaw Farming last night vowed to appeal to the Scottish ministers and accused councillors of “misinformation” during the meeting. The firm insists the homes would help to alleviate the local authority’s 15,000-strong waiting register for council housing and local demand for rented homes. Chief executive of Ross Developments and Renewables and agent for Sandlaw – Ken Ross – said: “What did concern us was the failure of local councillors to recognise the needs of young local families who are already paying rents far in excess of what we are proposing because of the acute shortage of private rental housing in Banchory and the Aberdeen housing market area.